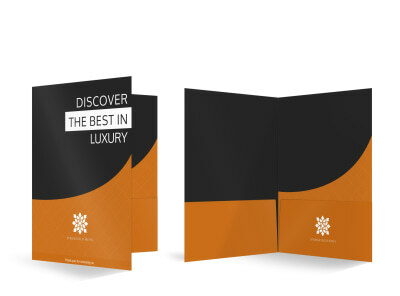 Impress hotel, B&B, lodge, or resort guests with marketing materials presented in handsome pocket folders. Our travel pocket folder templates are completely customizable, so you can quickly bring your ideas to life with just a few mouse clicks. Add your own photos and text to each side of your folder and its inner flaps to build your brand’s reputation and exude a professional image. We offer expert printing services using top-quality materials, or you can print your finished designs from any location to get them in hand quickly.